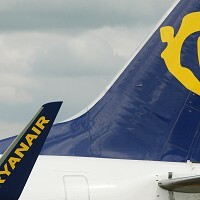 Budget airline Ryanair has unveiled plans for a major expansion across Europe. Speaking to the Financial Times, chief executive Michael O'Leary said he wants to take passenger numbers from the current 72.1 million to 120-130 million over the next 10 years. As part of the expansion, Ryanair also plans to purchase 200 to 300 new narrow-bodied planes. Talks are being held with aviation firms regarding a possible deal. The expansion plans would make the Dublin-based carrier one of the world's biggest airlines. The announcement comes as demand for low-cost travel is on the rise, and holidaymakers planning breaks abroad will want to seek a good travel insurance deal to match their newly purchased flights. Ryanair could deploy 50 new planes to serve Scandinavia and a further 100 for the Baltic states, Poland, Hungary and the Czech Republic, according to Mr O'Leary.